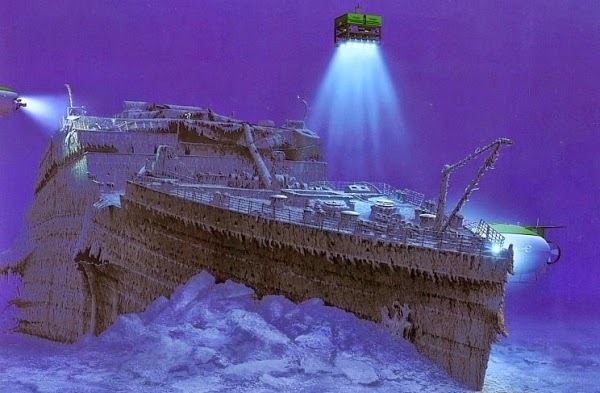 Did you know that you can go see the Titanic? Like, the famous ship that crashed into an iceberg. Like, the actual wreck at the bottom of the ocean. Like, the real Titanic that carried the Astors and Leo DiCaprio. Well, that last part may or may not be factually correct, but whatever. I can see you're already on board (snicker). All you gotta do is fork over sixty grand. Oh, I should've mentioned that first? Apologies. But get this - after you turn in that chunk of change, you get to hop on a tiny submersible vessel with Great Canadian Adventure Company in Edmonton and sink 12,460 feet to the spot where the Titanic has been resting for more than a hundred years. Marine biologists accompany you on the dive to tell you what you're looking at and make sure you don't meet a similarly tragic fate on your own nautical adventure. Can't you hear the strains of "My Heart Will Go On" already? That's your cue to start saving your loose change for the trip. Because why pay down your mortgage when you could go on an undersea exploration of the biggest FAIL in history?